” HAVE NOTHING IN YOUR HOUSE THAT YOU DO NOT KNOW TO BE USEFUL,OR BELIEVE TO BE BEAUTIFUL” this blog is form http://www.pancakesandfrenchfries.com .Okay, it has been a wild day.(yesterday)!! Starting at 6:50 walking, Sacramento by 9, winco, lunch at the new black bear diner,r in Auburn, home, get S to go transfer title ( finally ) on her VW,plus check on AAA insurance in her own name, staples for school supplies and …. Ta da…. 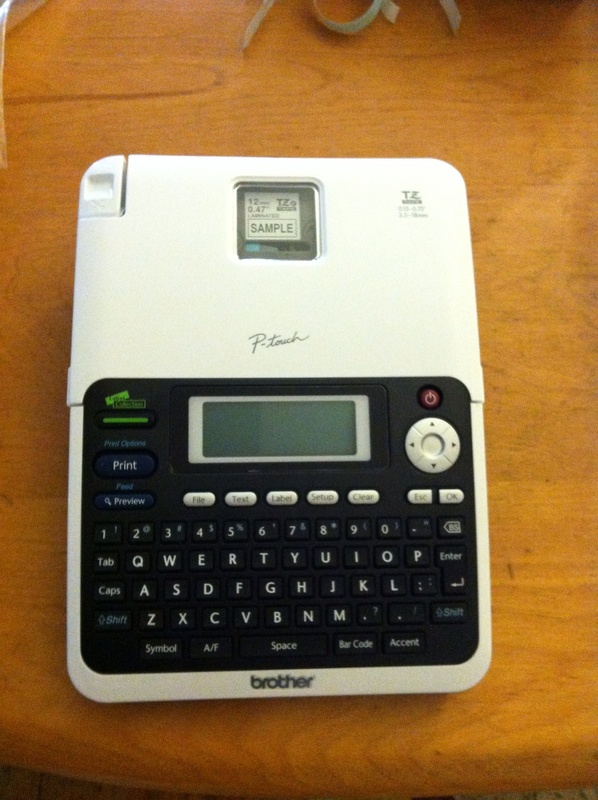 My new Brother label maker. so where does that fit in to William Morris.? Well, everywhere I can make a neat label I will. Im going to make labels so my bins and files look neater.I think it’s going to be fun once I get the hang of it. It took me an hour to get the tape in right to work…. ?ok , I’m a little(a lot) technically challenged. « Yikes! What a weird day….